You are here: Home › Safe & Sound: Banz Blog › Winter packs a wallop! Time to rug up beneath layers and puffer jackets, scarves and woolly hats (and hey, don’t we all love a good pom pom?). Time to forget about slathering on sunscreen, using sunglasses – there’s no sunshine to hurt you, right? Woah, Nellie! Not so right. If you don’t want to feel the burn, you’ll carry on using sun protection right through the cooler months. Why? Although there’s no obvious heat from the sun in winter, burning U.V rays still make it through the atmosphere – even when it’s cloudy. This is most obvious late in the afternoon, when sunstrike can be a big problem, not just for the driver, but for those little ones in the back. 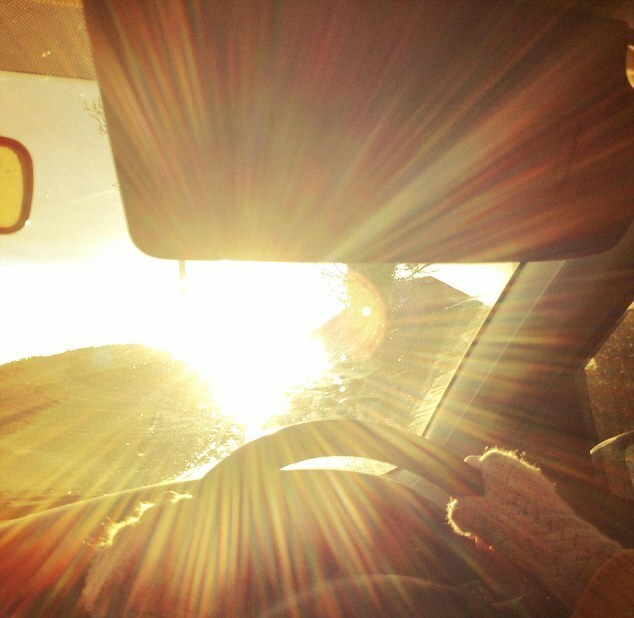 Children strapped into car seats can’t move out of the sun. Apart from making them cranky – having sun in the eyes is no fun, as we all know – bright rays also cause damage to little eyes that are much more delicate than our own. Driving in winter – sunstrike danger! Make sure your kids wear their 100% UV-blocking Banz sunglasses in the car. As well as protecting their eyes from sunstrike, you’ll be setting them up with good sunglasses-wearing habits year-round. The New Zealand Transport Agency (NZTA) website also advises drivers to keep their windscreen clean; wear sunglasses themselves; use sun visors – and to take especial care if the sun is reflecting off snow, which can also cause snow blindness. When you’re at the mountain, you’ll see everyone – yes, everyone! – wearing ski goggles. That’s because snow blindness is a thing – and it’s awful. Painful red, swimmy eyes spoil any winter holiday! 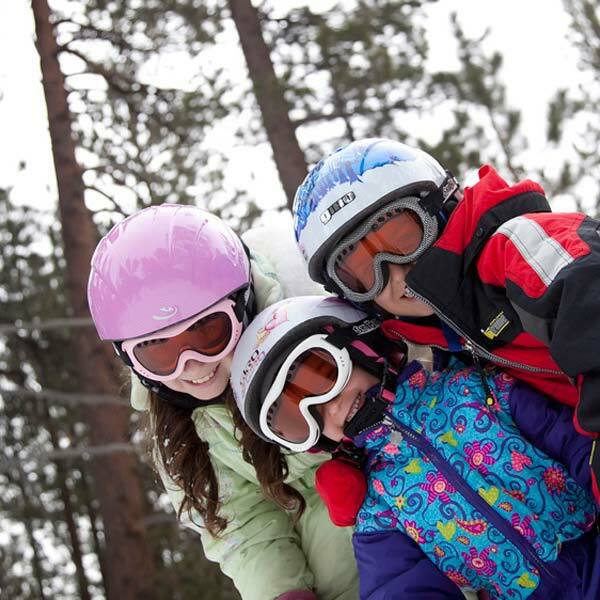 Your children should use SkiBanz, helmet-compatible, fully featured ski Goggles by Banz. In three cute colours, these goggles have an anti-fogging system and 100% UV-blocking lenses – find them here! 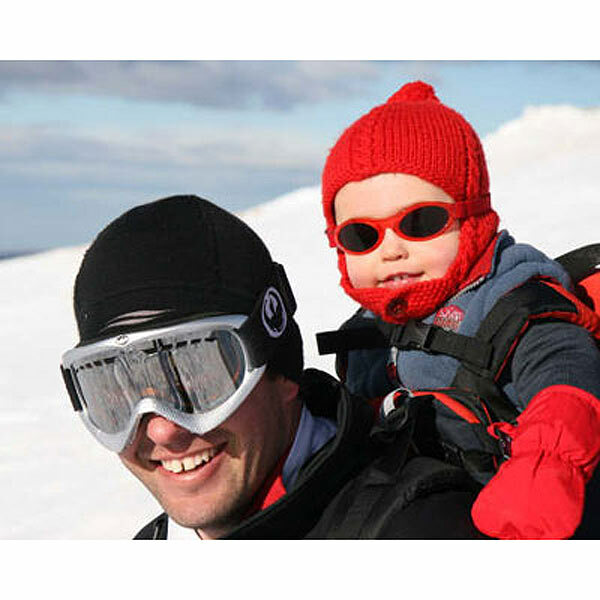 For kids under four, get extended use from their Banz sunglasses by wearing them on the mountain! Look here. Here’s a fun fact for you: UV radiation exposure increases 10-12% with every 1000 feet above sea level, and the sun’s rays also reflect off the snow. So don’t forget to apply sunscreen regularly, even when it’s cloudy – 80% of the sun’s U.V rays can penetrate cloud. 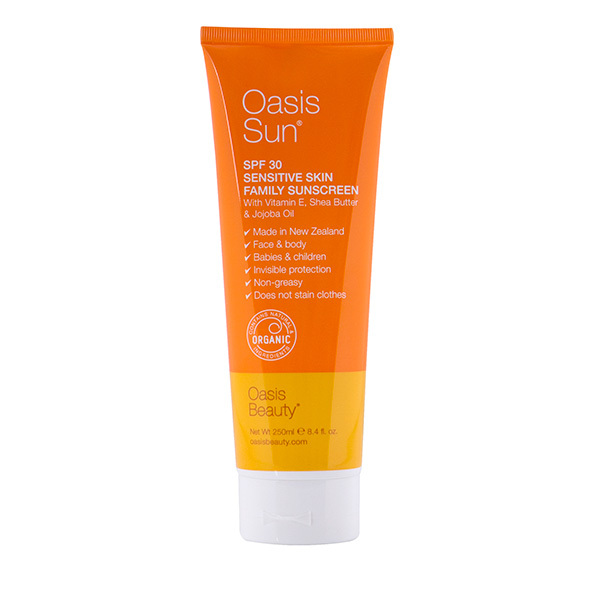 Try Oasis Sun, the Kiwi-made sunscreen with SPF30+ protection, which includes natural and organic goodies such as shea butter, jojoba oil and Vitamin E. Find it here. Life doesn’t stop during cold weather! You and the family still need to get outside. If there’s glare from snow – or even windy conditions – wearing sunglasses can really help. If you’re in a situation where there’s lots of bits flying in the wind – a sandy beach walk, or even dusty streets – the close-fitting, wraparound design of Adventure Banz and Retro Banz sunnies (look here) keep flying debris out of little ones’ eyes. 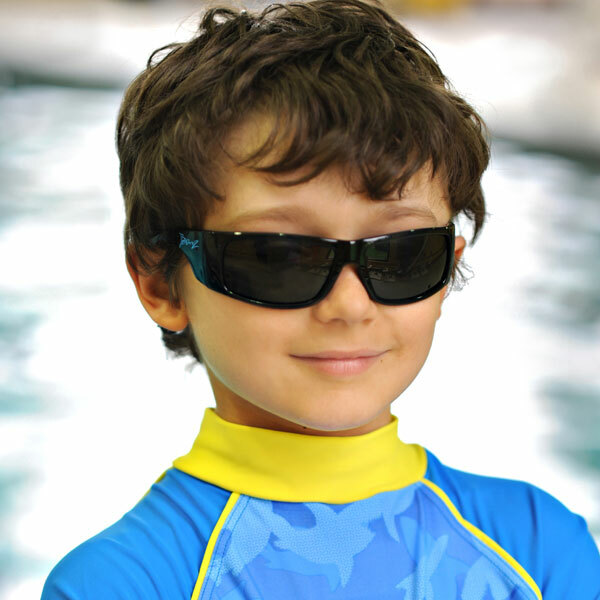 For older kids, JBanz Flexerz and Wrapz sunglasses styles do a great job! Find the JBanz range here. Don’t forget to take care of your family’s skin in winter. The moisturising ingredients in sunscreen help to combat wind burn – and mop up the UV rays. Skin experts also recommend continuing to use sunscreen as part of your skincare routine through winter to prevent premature ageing. 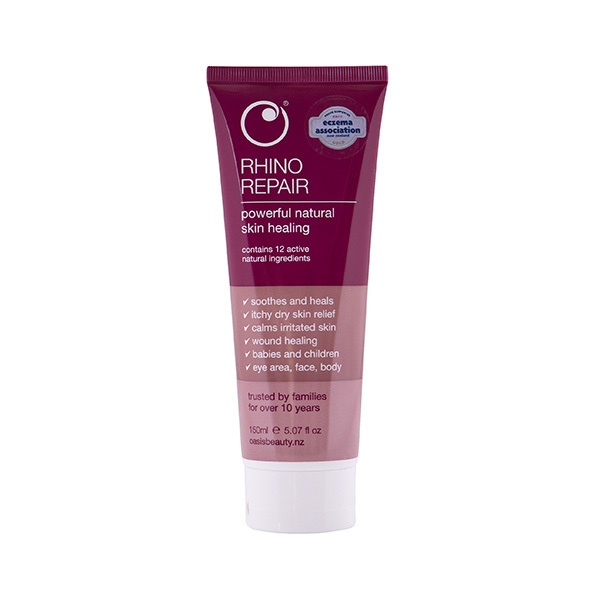 If you do get wind burned, the best remedy is Oasis’ Rhino Repair cream. A powerful natural skin healer, this lovely cream can be used on the whole family and, like Oasis Sun sunscreen, uses natural and organic ingredients – manuka, honey, aloe vera, neem, rosehip… the list goes on! It’s also recommended by the New Zealand Eczema Association, so you know it’s good. Find Rhino Repair here. The upshot is… use sunglasses and sunscreens year-round. It’ll make your family so much more comfortable and save them from loading up on extra U.V radiation over winter- and who wouldn’t want that? 4 Responses to Winter packs a wallop! Great blog! And definitely a great reminder about sunscreen. Thanks! Thanks, Alana! It’s good to get the word out! Thank, Aprl! I hope it’s useful to you.